In the midst of the hustle and bustle of the holiday season, it’s easy to lose sight of the true meaning of Christmas. That’s why years ago, Brittney and I created A Meaningful Christmas. A Meaningful Christmas is an Advent devotional that helps families keep their eyes on Jesus during the holidays. This year we’re excited to announce that we now have two options for you to choose from: The original AMC for families and the new AMC for women. Keep reading and I’ll tell you all about them. 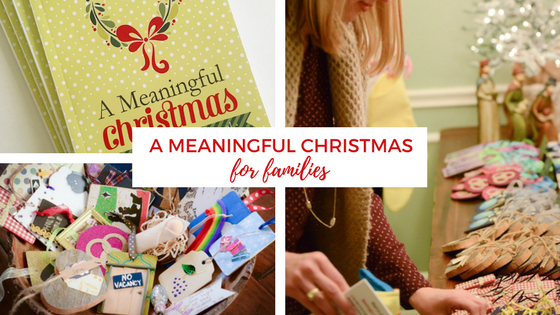 A Meaningful Christmas is a simple, child-centered devotional for families with elementary aged kids and younger to use as they count down the days until Christmas. 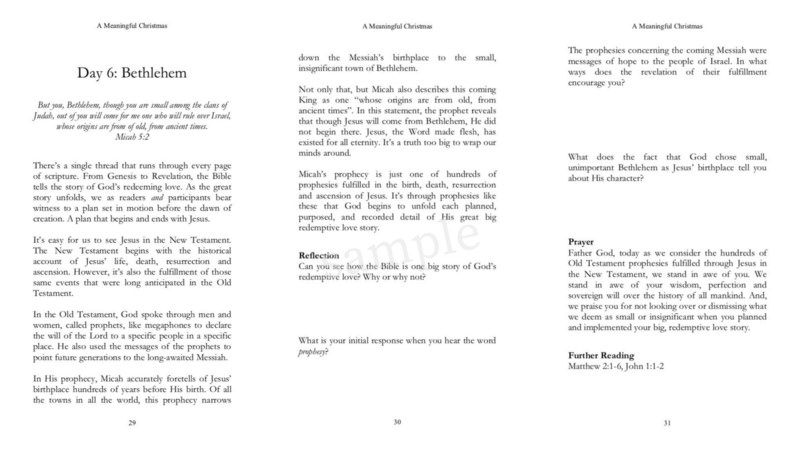 This devotional is sold in groups of 24. Each group participant is responsible for making an ornament that corresponds to one of the days devotional. When purchased, the “host” receives a Hostess Guide that gives all the information needed to gather a group of twenty-three other moms, assign ornaments, and every other detail in between. In the end, the hostess throws an ornament exchange party where each participant goes home with 24 precious, homemade Advent ornaments. This is a great way to create a lasting tradition with your family, focus on Jesus, and build a sense of community among friends. If you have a group ready and would like to purchase A Meaningful Christmas for families click HERE. After years of going through AMC with our families, Brittney and I realized that though the concepts and truths in the family version certainly applied to our lives, we lacked the focus, time and energy it took for us to engage personally. That’s why we created the women’s version. 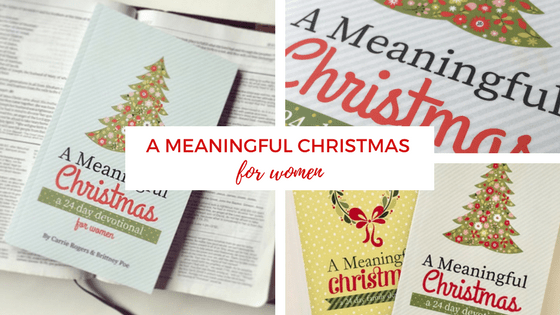 A Meaningful Christmas for women follows the same daily topic as A Meaningful Christmas for families, however, this devotional was written specifically with women in mind. Both it’s approach and application are geared toward women seeking more of Jesus in their every day lives. 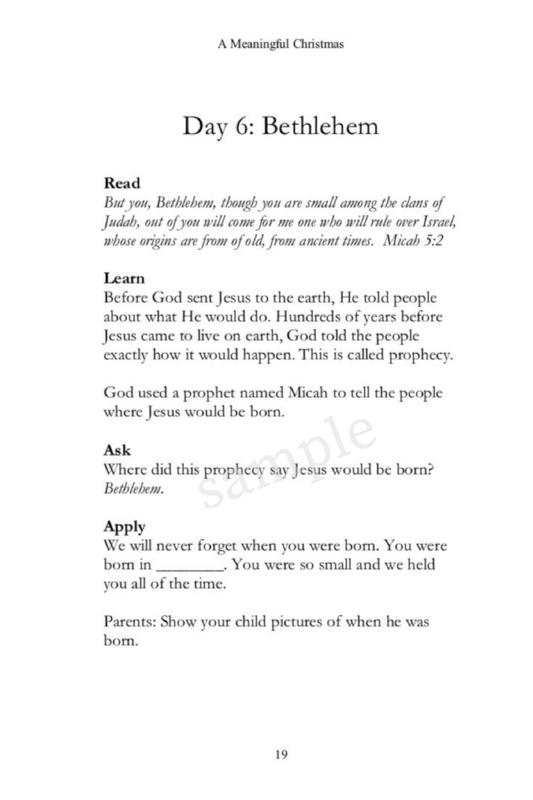 This devotional can accompany the truths you’re teaching your kids, or stand alone as a devotional for women of all ages. It can be purchased individually or in groups. If you’d like to purchase A Meaningful Christmas for women click HERE. If you’d like to purchase BOTH books for your group, click HERE. The cut-off for ordering books in groups will be in early November (to give you time to make your ornaments before December 1st) so don’t wait.